What is it like to grow up Aboriginal in Australia? This anthology, compiled by award winning author Anita Heiss, showcases many diverse voices, experiences and stories in order to answer that question. Accounts from well known authors and high-profile identities sit alongside those from newly discovered writers of all ages. All of the contributors speak from the heart, sometimes calling for empathy, oftentimes challenging stereotypes, always demanding respect. Torres Strait Islander and Indigenous Australians share a tumultuous history of colonisation, genocide and displacement from their land. European settlement by Great Britain has resulted in intergenerational trauma, associated violence and the trauma of the removal of Indigenous children from communities. Although Indigenous communities continue to experience displacement and injustice, the Indigenous identity is also celebrated. Growing Up Aboriginal in Australia reiterates that there is no singular Indigenous experience and shares the voices of our traditional land owners with compassion, consideration and celebration. Ambelin tells the narrative of growing up of the Palyku community of the Pilbara region of Western Australia among the purple hills, red earth and blue sky. A breathtaking and unforgiving landscape. Ambelin describes the prejudice of vintage Australia as unrelenting and although Australia is an evolving landscape of diversity, we must recognise privilege, reiterating the continuing barricades placed upon Indigenous Australians and the optimism of future generations to challenge society and the bias created and carried by colonialism. Tara is a prolific Wiradjuri Indigenous Australian author, raised in saltwater country, her narrative of feeling displaced and realising her journey within her community as an individual. Using the Corroboree as a metaphor of Indigenous Australia, the sense of identity is often misplaced within the wider, white community. Being from the world and of the world. Her optimism for her own daughter prevalent and she shares the experience of three generations of Indigenous women. Inspirational reading. Alice Eather was a beautiful spirit, a prominent Arnhem Land Indigenous community leader and activist. Plagued by anxiety and depression, a life taken too soon. Her contribution of Yúya Karrabúrra is exquisite. Her forefathers convicts on board the second fleet, her mother a Wúrnal woman and Alice, a child of the between finding her identity. Doctor Anita Heiss is a member of the Wiradjuri nation of central New South Wales, an accomplished and esteemed author of Indigenous literature. 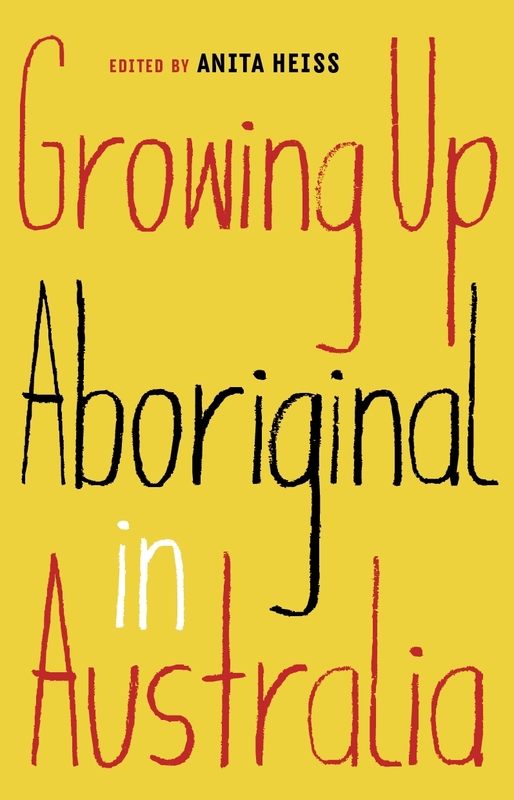 Throughout the introduction, Anita shares her experience of Growing Up Aboriginal in Australia, the consideration of each submission and experiencing moments of interconnection and reflection. Igniting, uniting and inspiring reading. I have been involved in early childhood Indigenous education through Indigenous advancement and children's leagues in Victoria, with an emphasis on the celebration of heritage alongside Victoria's most accomplished Indigenous educators. I'm Caucasian Australian of Irish heritage and through recognition my own privilege, it's imperative for non Indigenous readers to be reminded that support and compassion cannot replicate the experiences of Indigenous Australians. Compassion is not a substitute for the trauma and prejudice Indigenous communities continue to endure. We must condemn and challenge microaggressions and uplift Indigenous voices. 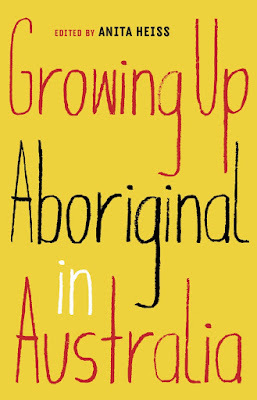 With contributions by Tony Birch, Deborah Cheetham, Adam Goodes, Terri Janke, Patrick Johnson, Ambelin Kwaymullina, Jack Latimore, Celeste Liddle, Amy McQuire, Kerry Reed Gilbert, Miranda Tapsell, Jared Thomas, Aileen Walsh, Alexis West, Tara June Winch, and many more, Growing Up Aboriginal in Australia is ground breaking, inspirational and essential reading. Wow. This sounds utterly spectacular. I feel like everyone should read this -- mostly politicians, but you probably knew that! It should be recommended reading for all Australian's frankly, it would be amazing to see it part of the school curriculum. Oh this is a collection that I want! Thank you for highlighting this, I have a coworker who spent a good chunk of time in Australia so I'm going to push this as our next book club read. Also dumb question for you Kelly but you mentioned that you're involved in childhood education. What do you do? I'm just curious. I was studying my early childhood education degree when I was working with Indigenous children, then I returned to volunteer while I studied. I was so enamoured with the environment, educators and children. It was such a wonderful experience that I continue to treasure. It's a wonderful anthology that highlights the voices of Indigenous Australia. Actors, entertainers, sporting idols and authors, which I've highlighted in my post. I'm an advocate for supporting Indigenous voices especially in children and young adult literature, so if you're looking for any fictional own voices recommendations, please don't hesitate to ask! This sounds like a really important anthology, so thank you so much for sharing. I must say I don't know a ton about Australian history, but I believe I saw a film years ago about being Aboriginal in the country (it was a fictional film, so not a documentary) and it's a fascinating topic. It's kind of like being Native American in the U.S. The trauma experienced from colonisation, displacement from their traditional lands and occupation from white settlers, it's a trauma that Indigenous communities continue to face. Governments around the world and most definitely the Australian government, see these issues with a white lens and refuse to invest in basic needs for remote Indigenous communities such as health, mental health, education. Policy is forced upon them, like the intervention that took place in the Northern Territory and the Stolen Generation. A great reference is the non fiction Follow The Rabbit Proof Fence by Nugi Garimara or Doris Pilkington. It's a great starting point to learn about the trauma of our traditional land owners. finally! they finally have a voice to shout from. Awesome find here! It's so important to boost and support books by Indigenous authors, especially for teens. I urge everyone to buy a copy or ask your library and school libraries to purchase copies. It's amazing and the breath of stories are inspirational. I'm looking forward to the next Black Inc anthology Growing Up African in Australia, such incredible supporters of the voices of Australia! You do an amazing job of highlighting all of these important these books for us Kelly. Thanks Karen. I try to read widely when it comes to Australian young adult, especially own voices narratives. This is such a spectacular and immersive read. Such an important read as well, I've been seeing it on Australian social media this week and absolutely thrilled that more people are picking up poignant and inspirational reads. It was wonderful. Couldn't agree more! Would be amazing to see it in all school libraries throughout the country and added to the school curriculum. It's so important for teens especially to listen and understand the Indigenous journey. It's an amazing read! How do you keep discovering all these awesome Aussie reads? This sounds like an excellent book on indigenous people and the various experiences of many. It's one that people should check out which means it's totally going on the TBR, although I may never get around to reading I will want to.